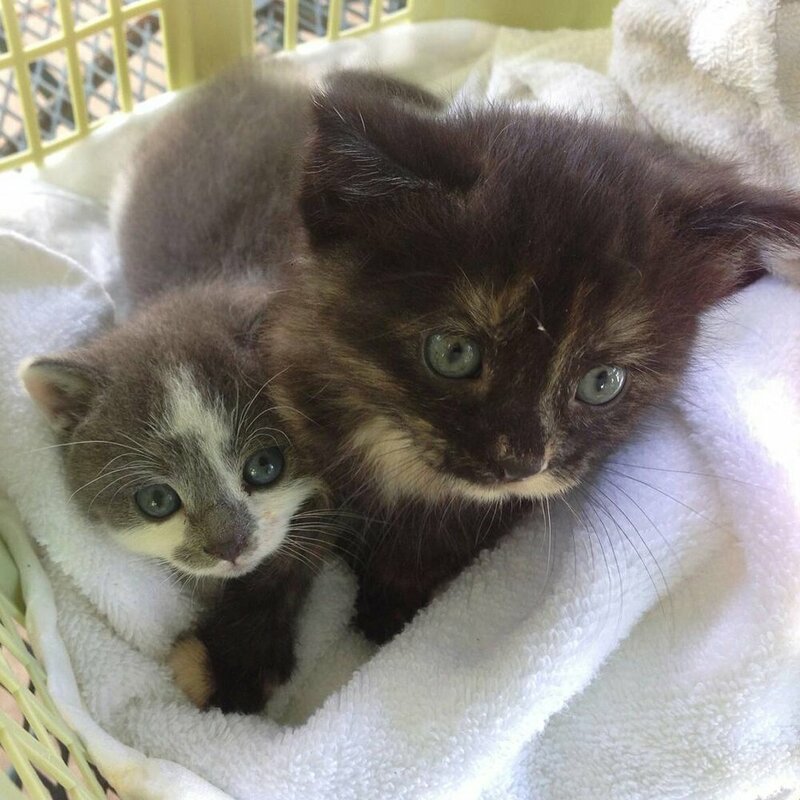 In May 2015, four-week-old Scooter and her sister Minnie were found in a split limb of a tree following a storm in Washington, MO. A friend of mine, Julia, took them in to care for them and find them a home. My ex-partner, who had just moved to Iowa for work, wanted to get two cats to add to his new home. It seemed like fate, so I called Julia and arranged a pickup time. Even then, Scooter’s hind legs weren’t quite right. Minnie was just learning to jump and climb, but Scooter still couldn’t stand upright. I had them for a week before planning to take them up to Iowa, so I took them to the vet to get them checked out in the meantime. The vet gave Scooter a steroid shot, in case it was a recent spinal injury, so that maybe she could heal. Over the next week, it became clear that Scooter would not “recover,” because this was probably something she had from birth. After a week of cleaning up Scooter’s bathroom messes (she can’t control her bladder or bowels), I took the kittens up to Iowa to live with my ex. We visited another vet there, and she said that considering our circumstances (being two 23-year-olds with little financial means), it might be best to put Scooter down. She thought it would be outside of our means to give Scooter a quality life, that it would just be too much work. I think she underestimated how much we already loved that cat. We decided to see if we could provide a quality life for Scooter, and the vet was happy to hear it! She taught us how to express Scooter’s bladder (and sometimes bowels, with the right technique), which helped a lot with the mess problem. I went back to start med school in Kansas City, MO, and my ex had the cats. After a while, though, Scooter’s needs and his work schedule didn’t make for the best situation, so I agreed to take her for a few weeks. As it turns out, somehow my med school schedule was very conducive to caring for a paralyzed cat! We agreed that I’d keep Scooter, and he’d keep Minnie.